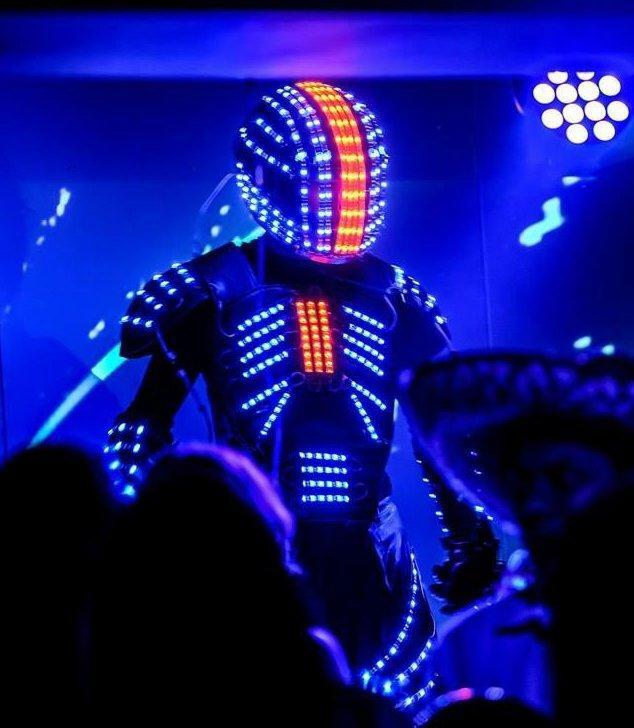 If you are looking for the perfect ‘WOW’ Factor at your event or venue then look no further than our incredible super bright LED Glow Team. 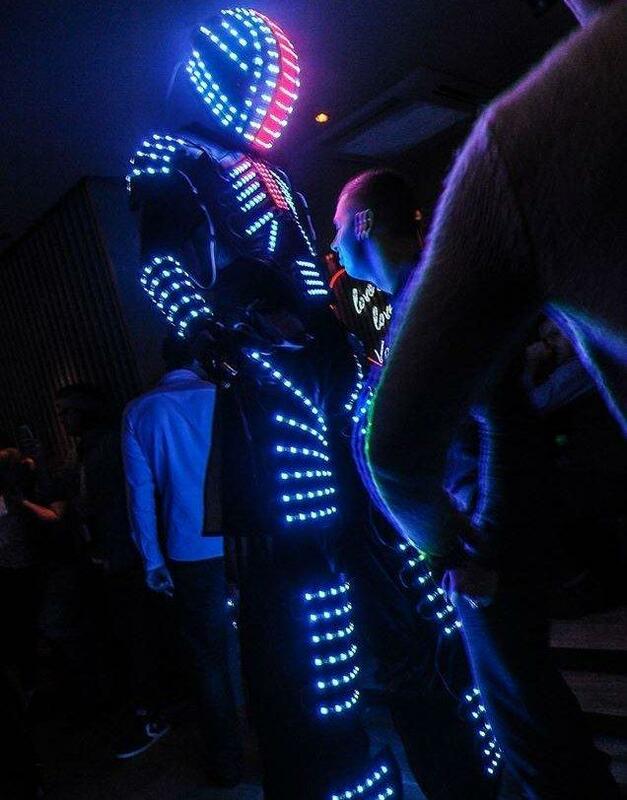 These acts are most effective in dark environments and the LED performers are sure to take your and your guests’ breath away. 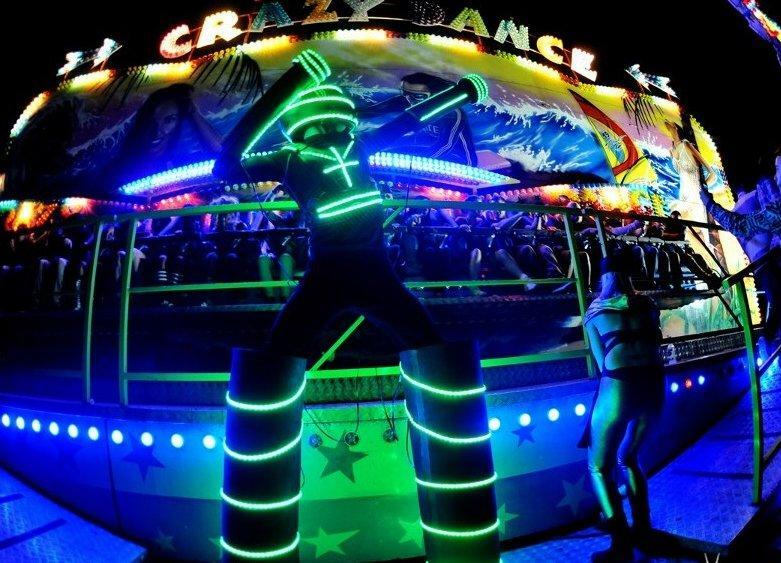 With a variety of colours, or set to rotate or strobe, our various packages are guaranteed to be the talking point of the night. 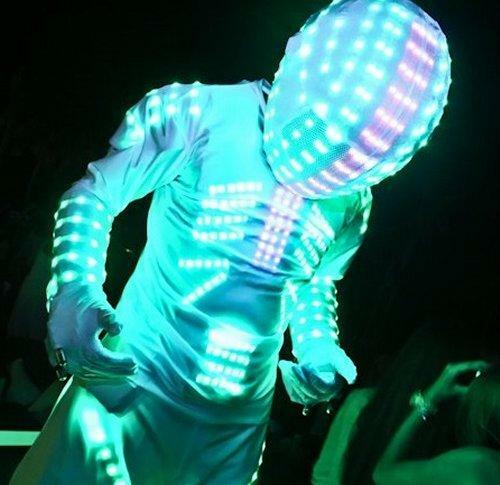 A 9ft Glowbot is a fantastic act to impress your customers. Great for both on the venue door as a meet and greet act and for interactive sets within the venue. It’s always very popular for photo opportunities with your guests. As above, however with the addition of a C02 gun for the added wow factor! 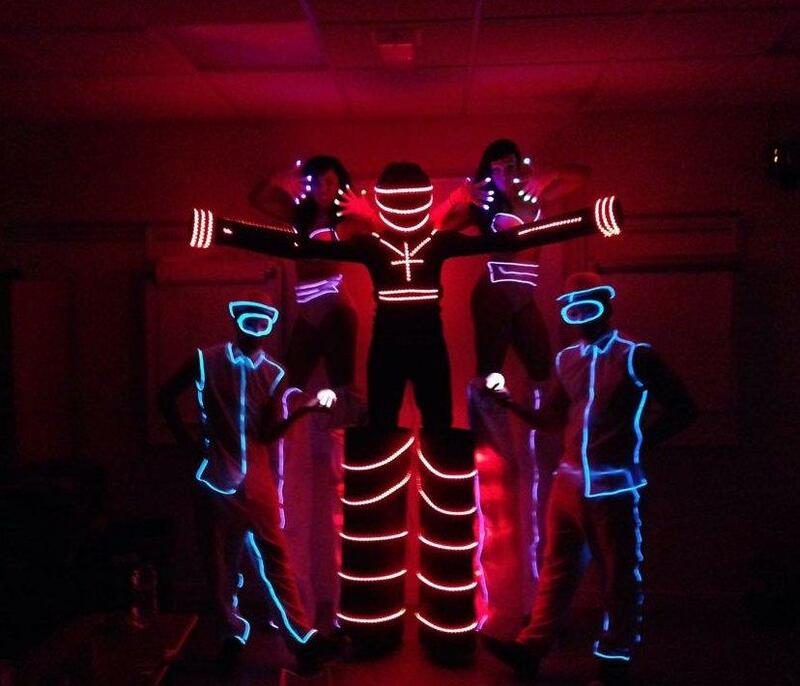 A team of 4 multi skilled acts with costumes made from neon lights. 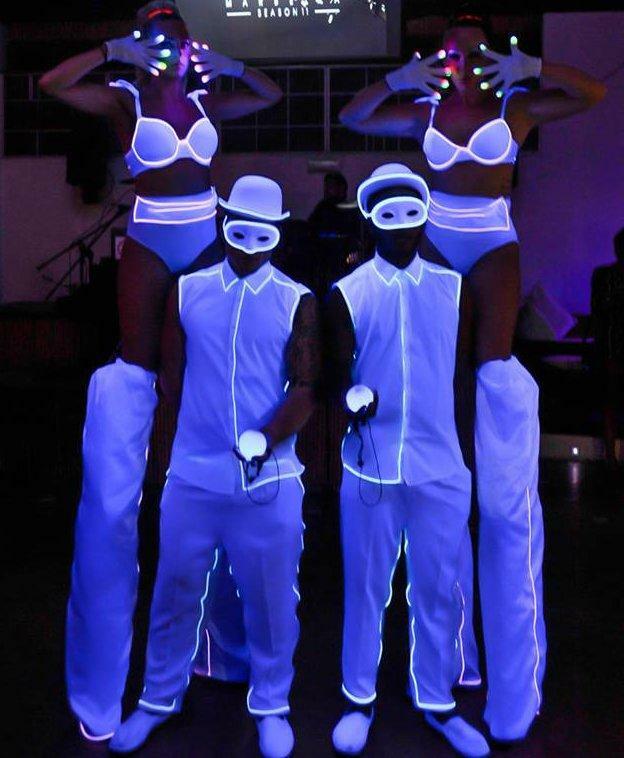 They can perform Stilts, Fire, Glow Poi and Glow Wheel. This is a fantastic package for meet and greet at the front doors of a venue, to create an immediate impact for guests arriving, as well as working well within your venue throughout the night. 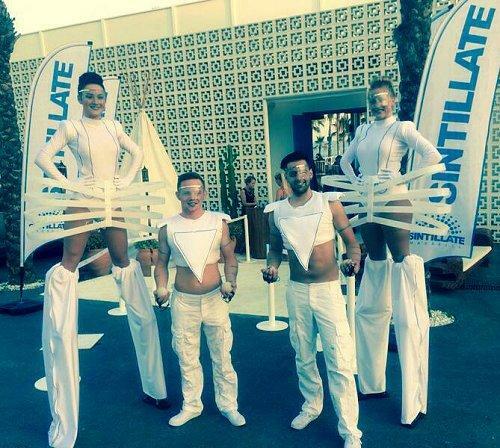 The performers are dressed in white and perform the above! 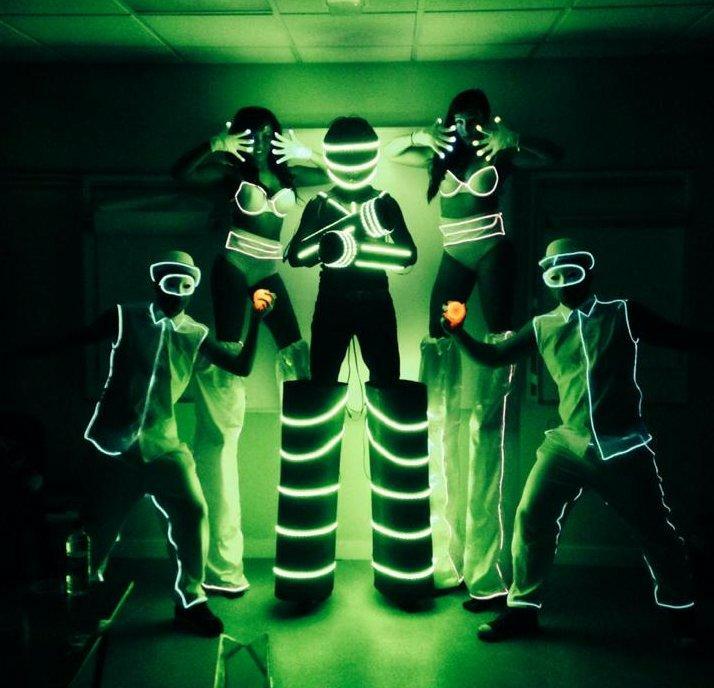 I have used the Glow Team for a lot of my events and have always been more than satisfied. The response the acts get is fantastic and I will most definitely be re booking them!